Using isotope fingerprints in feathers, researchers have pinpointed the northern breeding grounds of a small, colourful songbird. Myrtle warblers breed across much of Canada and the eastern United States, but winter in two distinct groups—one along the Atlantic and Gulf coasts, another along the US Pacific Coast. They are also one of the few breeds of eastern warbler that have been able to extend their range into the far northwest of the continent. "The Pacific Coast warblers migrate through the Vancouver area, but it's been a bit of a mystery exactly where they breed over the summer," says David Toews, who began the research while a graduate student at the University of British Columbia (UBC). So Toews, UBC undergraduate student Julian Heavyside, and UBC professor Darren Irwin used isotope signatures to pinpoint where the myrtle warblers breed. 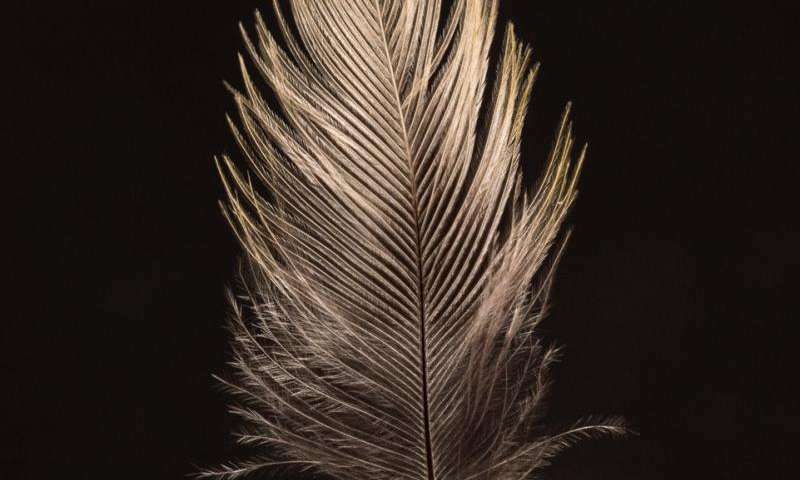 'We were able to match stable hydrogen isotopes in feathers collected in Vancouver to latitudinal isotope records in rainwater, to determine where the feathers were actually grown," says Toews, who conducted the analysis as a postdoctoral researcher at Cornell University. It turns out the warblers that summer on the Pacific Coast breed in Alaska and Yukon, suggesting this form of the eastern warbler spends its entire lifecycle—wintering, migrating and breeding—near the western edge of the continent. These high latitude warblers also have longer wings and tails, likely adaptations for their longer migration. The evolution of the shorter migration route to wintering sites on the Pacific Coast may have facilitated the breeding expansion of myrtle warbles into northwestern North America. 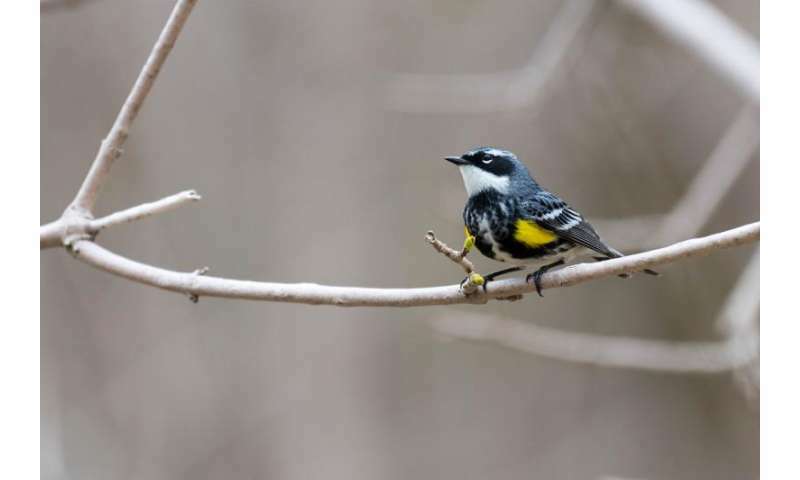 "Migration has been shown to be genetically based in many species of songbirds such as warblers," says Irwin. "An intriguing possibility is that the genes for the western migratory route were introduced to the myrtle warblers through interbreeding with a related western group, the Audubon's warblers." The feathers were collected by Heavyside and volunteers at the Iona Island Bird Observatory in Iona Beach Regional Park, Vancouver, with permission from Metro Vancouver Regional Parks. "UBC has fantastic research opportunities for undergraduate students, and I really enjoyed the chance to contribute to this project," says Heavyside. "I've volunteered at the IIBO station for several years and it was exciting to see a collaboration form between UBC and WildResearch. Holding a bird in the hand will never get old, and it's amazing what we can learn from a single feather." The observatory was started in 2010 by WildResearch, a non-profit dedicated to conservation science and outreach. The observatory allows researchers to monitor how birds use Iona Beach Regional Park, estimate population trends, and create training and educational opportunities for the community.